Working with GTM, I contributed to this paper by PA Consulting on managing technology. Sky’s the limit? Reducing wind energy costs through increased turbine size, Utility Dive, with Ryan Wiser, Joachim Seel, and Maureen Hand, December 19, 2016. Cost reductions for offshore wind: Signs of progress, expectations for more, Utility Dive, with Ryan Wiser and Joachim Seel, December 07, 2016. The future of wind: Are we understating the potential (and uncertainty) in cost reductions?, Utility Dive, with Ryan Wiser and Joachim Seel, November 30, 2016. California Grapples With the Pros and Cons of Joining a Regional Western Grid, Greentech Media, September 14. California Has More Solar Power Than You Think—a Lot More, Greentech Media, August 11. Green Groups Challenge PJM’s Capacity Performance Rules, POWER Magazine, July 11. What Comes After Coal?, Energy Transition blog, June 27. The Secret About Nuclear Power, Energy Transition blog, June 20. Do We Really Need Solar That’s Too Cheap to Meter?, Greentech Media, May 3. How Should We Structure Performance-Based Regulation of Utilities?, Greentech Media, March 28. New Reports Say CPP and Renewable Tax Credits Have Big Implications for the Power Sector, POWER Magazine, February 26. Why the Future Looks So Promising for Utilities in a Distributed World (contributor), Greentech Media, February 11. 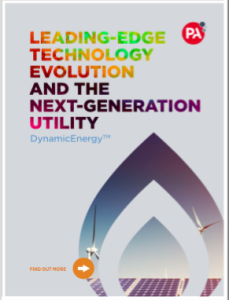 Leading-Edge Technology Evolution and the Next Generation Utility: DynamicEnergy™ (white paper, contributor), PA Consulting and Greentech Media, February 2016.